TTN Commentary: A public service union official is complaining on behalf of Tasmanian community and public service staff that few of its national parks staff are ‘fire-fit’. Instead of training staff and employing rangers in an area that desperately needs the jobs, the world-famous parks are just closed on fire ban days. Workers’ union representative Tom Lynch claims that Freycinet National Park employs only 5 ‘fire-fit’ staff, yet has over 5000 visitors a day in peak season. The Tourism News questions whether ‘fire-fit’ is a legitimate unit of competency. A quick search of the phrase ‘fire-fit’ reveals a Fire & Rescue NSW program that has a lot of information sessions but no information on pricing for an 8-week program. It is a given that public service staff should be trained in fire evacuation procedure for themselves and visitors, whether they’re manning a Visitor Information Centre or a National Park. If Lynch’s message is legitimate – if he is only concerned about the safety of staff and tourists and not at all with gaining an expensive contract for an fitness provider – then he should argue on what losses are suffered to the public purse and to 5000 tourists and the surrounding industries when parks are closed in peak season. Lynch could argue that the cost of disappointing 5000 tourists a day, and the risk of fire could be easily mitigated by providing trained staff. An argument for employing more people in Tasmania is an argument you can’t lose. PARK rangers have raised concerns about their ability to evacuate major tourism destinations in case of bushfire. In a letter obtained by the Mercury, the union representing rangers has used the state’s most popular national park, Freycinet, as an example. But the concerns have been dismissed by the head of the Department of Primary Industries, Parks, Water and Environment and the Tasmania Fire Service. 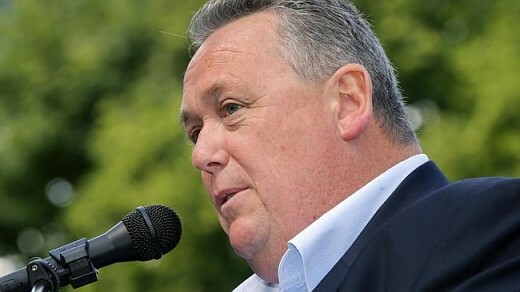 In September, Community and Public Sector Union state secretary Tom Lynch wrote to DPIPWE secretary John Whittington, saying there were not enough trained staff to deal with emergencies. “Given there are currently only five fire-fit staff based at Freycinet and that there can be up to 5000 visitors to Freycinet a day over the summer period, CPSU members are greatly concerned about their capacity to safely evacuate all visitors without placing themselves at risk of injury or worse,” Mr Lynch said. He said rangers believed other tracks around the state, including the yet to be opened Three Capes Track and various walks in the Cradle Mountain-Lake St Clair National Park, would have to be closed on high fire days because risk assessments would show there were not enough resources to keep all visitors safe. The iconic Wineglass Bay track and others in Freycinet National Park were closed this month due to a total fire ban. But the concerns were dismissed in a response from Mr Whittington. Emergency Services Minister Rene Hidding. “The tasks staff undertake as part of the Emergency Management Plan do not ­include firefighting, and therefore they do not require firefighting training,” he said. Tasmania Fire Service deputy chief officer Jeffrey Harper said: “The Parks and Wildlife Service has a longstanding policy to close walking tracks on total fire ban days to protect parks’ visitors on these high risk days. 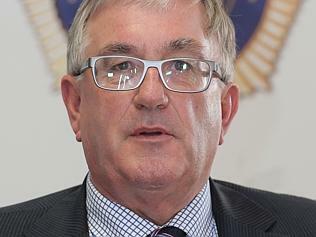 Emergency Services Minister Rene Hidding yesterday ­described Mr Lynch’s claims as “dangerous and false scaremongering”. “We have proven time and time again that the capacity across all agencies is as good as it has ever been,” he said.